A polished performance from Ennis saw them claim the Munster Girls U18 Conference A title with a well deserved victory over their Tipperary opponents on a 28-13 scoreline. 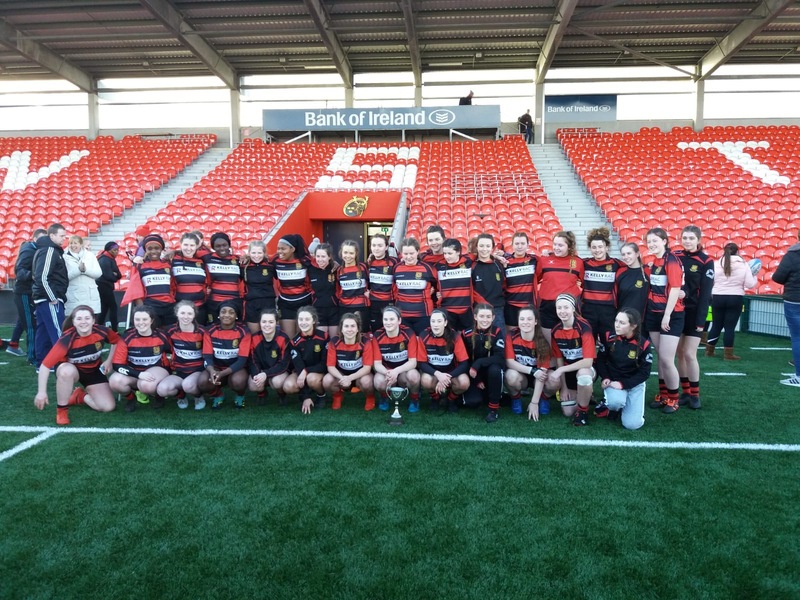 It comes just two years after girls rugby was introduced by the club, with a number of the panel also catching the eye of the Munster Development Squad coaches in the past 12 months. The Clare side were always in control of the game at Irish Independent Park, and raced into a 14-0 lead midway through the opening half with two brilliant tries from the impressive Chisom Ugwueru. Both tries came after good work at the breakdown by the Ennis pack, as they pressured their opponents into conceding possession, before Ugwueru pounced on the loose balls to dance clear under the posts. Ennis full-back Aoibhin Donnelly was in good form from the tee and landed both conversions to leave her side well in control as the half-time whistle loomed. Credit to Carrick-on-Suir as they drove at the Ennis line toward the end of the opening half, and they got their reward as the pack crashed over to get their opening score. A difficult conversion from near the sideline followed, and despite a good effort by out-half Marlise Flynn, the ball drifted wide. That saw Ennis head for the dressing rooms with a comfortable 14-5 lead having played with the elements in the opening half. They continued to dominate after the restart, and were camped in their opponents half for long periods. That pressure paid off when Eilis Cahill was rewarded for some brilliant work close to the try line as she managed to ground the ball for her side’s third try of the game. Donnelly landed the conversion, and it meant Ennis were out of sight as they led 21-5 inside the closing quarter. 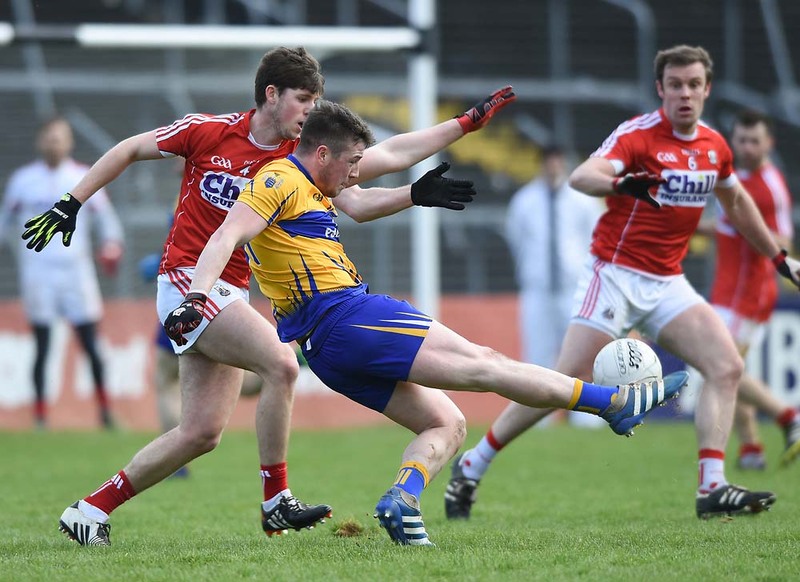 Carrick ensured the game would not peter out though, and the Tipperary outfit started to exert some real pressure on the Ennis half. Their kicking game was starting to pay dividends, and their second try came soon after, but the conversion attempt went wide. They continued to build the phases late on, and got another three points on the board when Flynn hit an excellent drop goal to cut the gap to eight points. Ennis had the last word though, as Grace Colleran and Emily Murphy combined to send Aoife Corey scampering clear, and she bolted through the defence to dot down and end the game as a contest. Donnelly made it four from four from the tee, and it saw Ennis clinch victory on a 28-13 scoreline. This was a victory built on huge heart and skill from the Ennis girls, with some brilliant defensive tackles along with blistering attack play seeing them lift the silverware. Ennis RFC: Aoibhin Donnelly; Aoibhinn O’Loughlin, Emer Moynihan; Alana McInerney, Aoife Corey; Grace Colleran, Emily Murphy; Saoirse Reidy, Vanessa Johnson-King, Shanice Benson; Emma Monaghan, Eilis Cahill; Emily Fanning, Clodagh McDonnell, Chisom Ugwueru. Replacements: Siofra Ryan, Mary Kate Keane, Dearbhile McMahon, Mairead Mescall, Rosie Brannock, Emmanuela Ikieby, Laura Cooney, Cayla Flannery. Tries: Chisom Ugwueru (2), Eilis Cahill, Aoife Corey.